Perhaps you have active children, pets and, family members who are prone to spills. Or, you own a second home that you use only occasionally or rent full-time. Whatever your circumstances, we have flooring products that will fit your unique lifestyle. Summit County’s only stocking warehouse! Need carpet fast? We stock a selection of different styles of carpet in our local warehouse at all times. Accidents happen and if you’re running a vacation rental, you need it fixed as soon as possible. Contact us today and we’ll get your carpet replaced and your unit back on the market quickly. Kari and Tanya took over the former business A Discount Flooring Company from it’s previous owners in 2018. 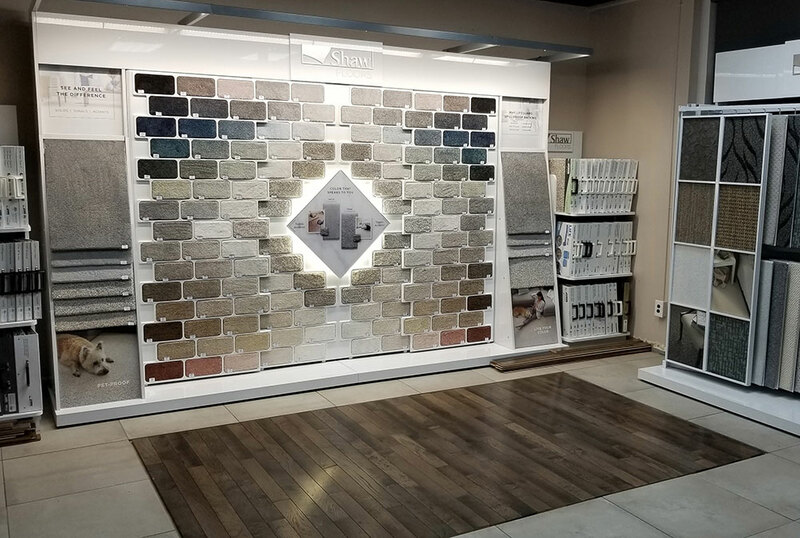 We’ve updated our showroom, inventory and changed the name to The Frisco Flooring Store to start 2019 and we’re now bringing a high quality flooring experience to our customers in Summit County, Colorado. Together with our team we welcome you to stop by and checkout our selection. We’re located in Frisco, CO just a few blocks from I-70 exit 203 at the gateway to Ski Country USA. Need Flooring in the Denver Metro Area? Visit our sister store in Arvada. Need flooring but don’t know where to begin? Contact us today to set up an appointment for a product and design consultation and schedule a date for your free measure. Or, stop by our showroom for a professionally guided tour of all our beautiful flooring options. These guys were friendly and quick. I had 1 week notice and they fit me in and did a good job. The only room for improvement I see is clean up. The new carpet was left very compressed still and some threads of debris from cutting. Wouldn't hurt to vacuum after each job to fluff the carpet up and clean up. Small downfall for a great job overall though. New owners. Very happy to help with any project. Reasonable prices. Great people. Easy to work with. I worked with Tanya to order laminate flooring for my entire house. We had decided to install ourselves but her team still came over and measured the entire home to make sure we didn’t over/under order for the job. Materials were received WAY faster than expected, which was great! The flooring is high quality for a great price. The entire process was extremely smooth. I’ll be using this company again for any further flooring needs. I recently had the pleasure of working with the new owners of The Frisco Flooring Company to purchase and install carpeting in my master bedroom and closet to replace the original carpeting that had been installed when we built our Breckenridge home. Tanya, one of the owners, was very easy to work with and was extremely helpful in terms of describing the various types of carpet and pads that were available, scheduling a time for her husband to come to measure the areas to be re-carpeted and subsequently providing an estimate of the costs of the new carpet, pad and installation. She was very responsive and timely with regard to the estimate, ordering, scheduling and installation process. The installers showed up on-time (despite having to drive through a snow storm) and worked hard to complete the installation. The end result is perfect! I highly recommend this company for your flooring needs! 4/5/19 Frisco Flooring just completed a large carpet install job at my home in Breckenridge - 5 bedrooms and large basement area . In summary, everyone I interacted with was very professional and customer focused. My wife and I are very pleased with the final product. Carpet looks great. I will recommend Frisco Flooring to friends. Tanya was courteous and helpful every step of the way, from carpet selection to carpet install. Kept us informed of progress on our carpet order and scheduling the install. Kari came to the house and gave us a very detailed estimate, noted potential problem areas (cracked basement flooring). Carpet installers worked very hard, were conscientious and cleaned up following install. Very professional installation!